It is quite a tedious task for you in order for you to decorate a small attached living and dining area. Sometimes, it would be a huge challenge for anyone to create a specifically separate room area when you only have a minimal section to do so. With a little guideline and a few preparations, you would be able to turn a small living area into two small different rooms. Even if it is cluttered and cramped, you can still create a new image for your existing living room and dining room. By using a few creative ideas, you would be able to decorate both of the areas into two separate rooms that have shared design, colors, fabrics and also an ideal type of paint. The first thing that you need to do is to empty all of your belongings inside the living and dining rooms to other area so that it will not interfere with your other activities. Make sure that you plan out the space without the need for climbing other things such as the sofa or your dining chair. Then, you have to choose an interior latex paint. It is recommended that you use a light and neutral or soft color for both areas such as a light buttery yellow or a soft sage green. Paint your living and dining rooms in the same hue. In order to add depth to your walls, you could use a satin finish so that it will be less reflective. By using light colors, the room will feel more open and bright while painting them using the same color also will keep your living and dining rooms from seeming boxy plus also enclosed. Another thing that you can do is to use furniture in order to define the spaces and enable you to treat them as two separate rooms. Just by splitting the rooms in this particular way, you would be able to visually enlarges the area and also at the same time creating purposes for each of the room. 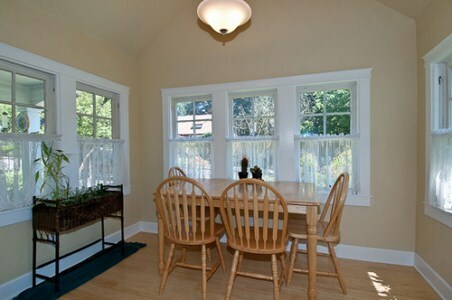 Next, you need to adjust your dinette set or dining table to the center area of your dining room. Then, arrange the furniture in your living room so that it would be around a focal point like a television or fireplace. You can also add a side table along with lamps right beside your sofa or love seat and try to add extensive lighting in it surrounding area. Whenever you used unified paint color and applied it onto the rooms, you could prevent your eye from becoming diverted. Another tip that you could apply is by placing a decorative room divider in between your living room and the living room area. You can also add some bright or airy elements to your surrounding areas for both rooms. Usually, any tiny areas are often shrunken by the more bold kind of decorating elements. Therefore, understatement is the key that you should use for your décor choices. For example, you can look for lamps that come with a delicate design along with slender bases plus also having a light color shades. Besides that, you should be hanging pictures designed with narrow frames. Make sure that you avoid cluttering your wall area. Choose only sheer fabrics for your draperies and curtains and ensure that it is also lightweight. You can use the same fabrics for your dining and also for your living room. The same fabric can also be used for your napkins or table cloths, throw pillows as well as slip covers. In addition, you can add a pendant type of light to your dining area by hanging it above your dining table. By having this pendant type of light, the dining room will visually look like a separate area from your living room space. Apart from that, you can also install a dimmer switch to the light so that you can adjust the lighting when the need arise. In order to maximize the look of your small space living and dining rooms is to be well organized and also do spring cleaning every now and then. If you feel that certain furniture is not suitable anymore to be placed in your living and dining rooms, you need to get rid of them. Try to minimize the usage of your decorative elements. Whenever the living and dining area is cluttered, it will severely reduce the impression of space. Therefore, you need to make sure that every object within your living and dining area are placed in a designated location in order to create some opening for your house. Rugs can also be used as an additional decoration to your small living and dining rooms. Arrange the rug so that they will define both of the rooms as two different areas. You need to place one rug under your dining table while another one should be placed under your coffee table. Both of the rugs should be having similar pattern. It is good if you have extra budget where you can consider purchasing new furniture for your dining and living rooms. If your area is small, you can add a small, drop leaf-style dining table where you can easily pull an extra chair or even two to accommodate your guest. To reduce the look of a cramped area, you should also consider using minimalist sofa and chair designs. This entry was posted in Home Improvement on November 20, 2011 by Mike.